This scholarship is awarded to the "Most Complete Player" as selected by the B.C. High School Girls Basketball Association Tournament Scholarship Committee. The annual AAA Girls' Provincial Tournament takes place in March each year and brings together teams from all corners of the province. In this way, the Quinn Keast Foundation extends its support for the education of graduating seniors throughout B.C. According to coach Ross Tomlinson, Hailey has a 'no-quit attitude' on the floor, which was evident in the 2018 Girls B.C.'s. She is an offensive threat, but also a superb defender, being asked to guard the best player on the opponent's team. Not only has Hailey found herself successful on the court, but has also maintained high grades in school, being on the Honours Roll with Distinction for the past four years and achieving a 4.0 GPA. Hailey is off to play for the UBC Thunderbirds next year. Sophie de Goede is a force to be reckoned with. She is exciting to watch, and you can often find her on the floor diving for loose balls or trying to get a steal. As coach Rob Kinnear puts it, Sophie is "driven to achieve excellence at a level that is beyond compare...she stands out as a leader...and will take on whatever leadership role is necessary for the success of that particular team or endeavour." Not only does Sophie excel on the court, but also off the court as she is an elite rugby player (not to mention soccer, volleyball, cross country and track and field). Sophie is a member of the National Rugby Program and has a "remarkable work ethic and attention to detail." We wish Sophie all the best as she intends to play both rugby and basketball at Queens University! Jessica Zawada was an outstanding candidate for the Quinn Keast Foundation 2016 AAA Girls Scholarship and not just because she shared his number 13. She is an exceptional young lady and outstanding athlete, putting endless energy and passion into the game of basketball and dedication to her teammates and coaches. Jessica is a relentless, tenacious player at both ends of the court. In her coach’s words she "has to get to every loose ball and rebound!" She does not let the team settle for less than their best of efforts. While she loves to win she always exhibits fine sportsmanship and is generous with the ball. In addition to dedicating thousands of hours of practice to improve her game, Jessica has found time to do a lot of community service and has volunteered in a wide range of activities involving people of all ages and different walks of life. She has also managed to maintain top honour roll status while taking some highly challenging academic courses. Jessica is a winner in all walks of her life and a model of excellence for others in every way. She is not only a leader on the Wildcats but coaches younger teams in the school. After graduating she plans to attend the University of the Fraser Valley. Morgan has found success not only on the court, but off the court as well. Morgan was part of the "Hero Holiday" trip to Mexico to build houses and the "Best Buddies" program at Oak Bay. Further, she was part of Athletic Leadership, where she helped organize and run athletic events at the school. 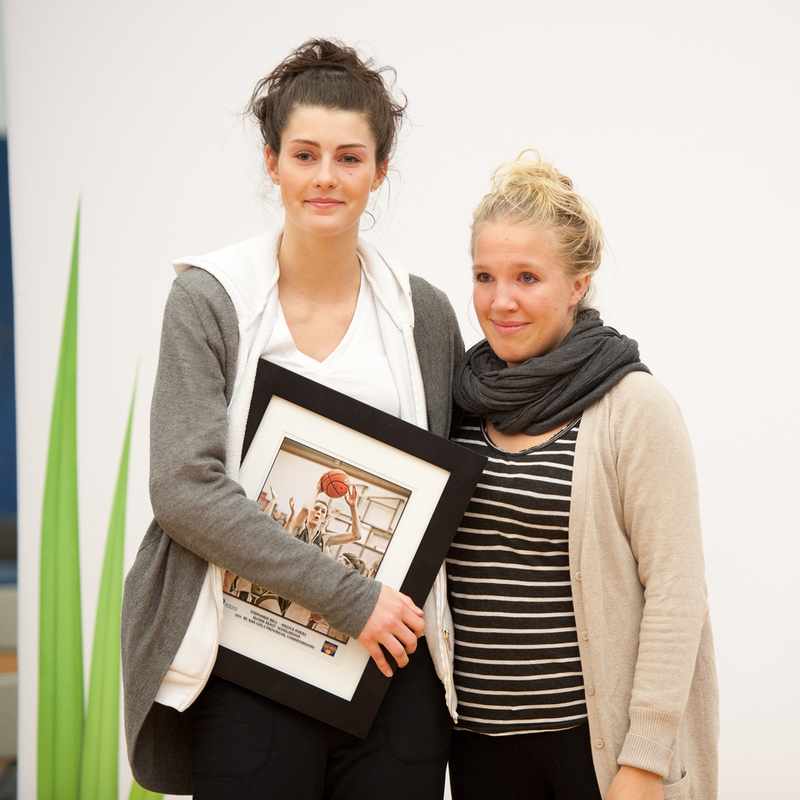 On the court, Morgan was the first female in Oak Bay history to win Senior Athlete of the Year as a grade 11. 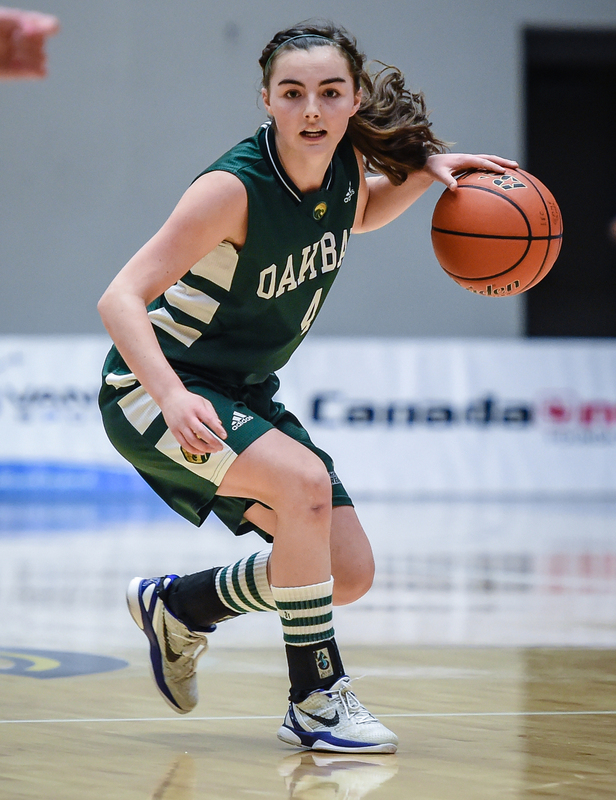 She was awarded a first team all-star at the AAA BC Girls Provincials and has received numerous other tournament MVP and All-Star awards throughout her years at Oak Bay. Marisa has been a leader in both her school setting as well as on the basketball court. She works tirelessly in order to become a "complete player", is always asked to guard the opposition's best player, and has a work ethic that can not be matched. Marisa steps up in to whatever role is asked of her, whether it's handling a large part of the offensive responsibility or taking the tougher, last second shots, not only on her high school team but also on Provincial teams. Her coach, Rob Kinnear, says that Marisa "consistently does what it takes to ensure the success of the program...evident through both her offseason success with our Provincial program, as well as through her numerous accolades as a leader of a very successful high school program." Marisa will continue her basketball career at the University of Victoria in 2014. Fiona Beales is the 2013 AAA Girls Provincial Tournament selection for the QKF Scholarship. Fiona played senior basketball since grade 8 and played on the U15, U16 & U17 Provincial Teams, as well as participated in Centre for Performance. Fiona was looked upon as a true leader on her team, dominating the boards and leading her team to a 38-3 season in her grade 11 year. Not only is Fiona a standout leader, but her work ethic and motivation sets her apart from others. Outside of school, she has coached club teams and attended several coaching clinics. Riverside’s head coach, Paul Langford, says Fiona is “highly respected by her teammates and coaches, more than that, she has become an inspiration to the younger players.” Outside of basketball, Fiona participates in cross-country, soccer, the French club, peer tutoring, and referees soccer and volleyball. Fiona will graduate this year earning Honors with Distinction. She will continue her basketball career at SFU in 2013. Madi Ellis was the 2012 AAA Girls Provincial Tournament selection as the winner of the QKF Scholarship. As a member of the South Kamloops provincial championship team, she was a person of integrity, honesty and commitment to excellence. Her coach, Ken Olynyk, said “I have thoroughly enjoyed my relationship with Madison over the past number of years through all areas of concern: athletics, academics and community. Madi is an accomplished soccer player and widely involved in her community. She was an outstanding student at South Kam and exemplifies the qualities that the QKF wish to encourage in student-athletes. Stephanie Bell of the Argyle Pipers is her team’s captain, leading scorer and leading rebounder. She is a multiple all-star and winner of the 2010 HSBC Scholarship for four years of tuition at UBC. In 2010-2011 she averaged 16 points, 8 rebounds, 4 steals, and 3 assists per game. Her shooting percentage was a stellar 46%. She always draws one of the toughest defensive assignments of any position ranging from shooting guard to post. Stephanie has become a leader and understands and embraces the impact she can have by the way she conducts herself; whether it be the energy or smile she brings to practice; her preparation for practice and games; or her unselfish play while getting all players involved in the common objective. She has also been a member of the U-17 provincial team for the last two years and a 2011 AAA Girls’ Championship first team all-star. Stephanie has developed a complete game of basketball and is a deserving recipient. The presentation of the 2010 Quinn Keast Foundation Scholarship to both Diana and Kristjana was very fitting recognition to an amazing duo that played together for the last five years at Handsworth and have enjoyed sensational high school careers with the Royals. Both Diana and Kris were four year Seniors at Handsworth and both have two AAA Girls Provincial titles and a AAA Provincial Championship MVP on their list accomplishments. Diana showed tremendous courage and determination throughout the 2010 tournament, playing with a fracture in her ankle which was diagnosed after the final game. Her court leadership was exceptional throughout the tournament. Kris proved to be a challenging matchup for everybody she faced as she seemed to be able to get to the basket at will when she was not hitting shots from the perimeter. She was awarded MVP honours at the 2010 tournament capping off a great tournament with 25 points and 13 rebounds in the tournament final against Oak Bay. 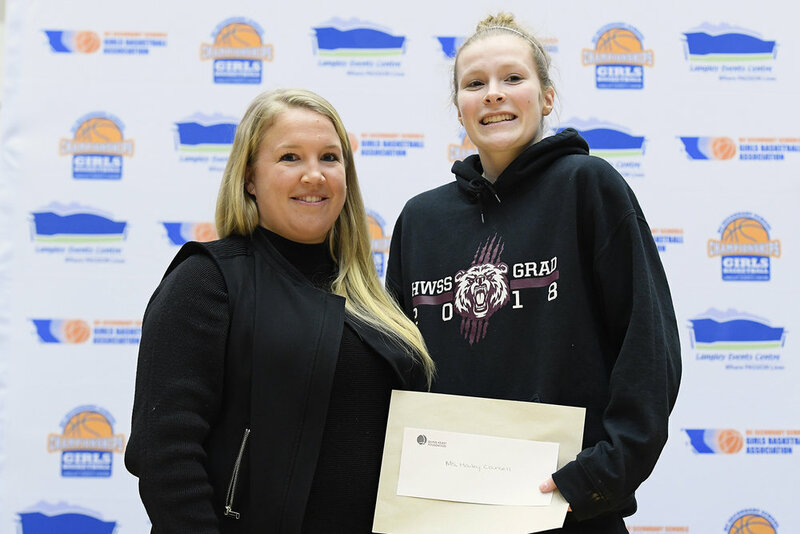 2009 was the inaugural year of the Quinn Keast Foundation Scholarship at the AAA Girls Provincial Championship and it was only fitting that is was awarded to Bethan Chalke of the Handsworth Royals. Bethan was a co-captain of the Provincial Champion Handsworth Royals and was selected to the First All-Star Team at this years' tournament, averaging 12 points and 8 rebounds per game. Bethan was undersized relative to her opponents but played with heart and intensity throughout the tournament, doing all the little things that make a team successful.